Fans of the awesome raspberry Pi mini computer might be interested in a new project published by master modder Ben Heck, that takes the Raspberry Pi computer and creates a fantastic Raspberry Pi game console. The new Raspberry Pi game console is roughly the size of a Gameboy and required the removal of the Raspberry Pi’s Ethernet jack, and also re-positioning the USB port as well as other hardware changes. Watch the video after the jump to see the Raspberry Pi game console in action. The project is available as a two part series with the next episode airing next week over on the Ben Heck website. In part one below Ben takes us through his thought process as he dismantles controllers and other devices including the Raspberry Pi to make the tan formation in to the Raspberry Pi game console. 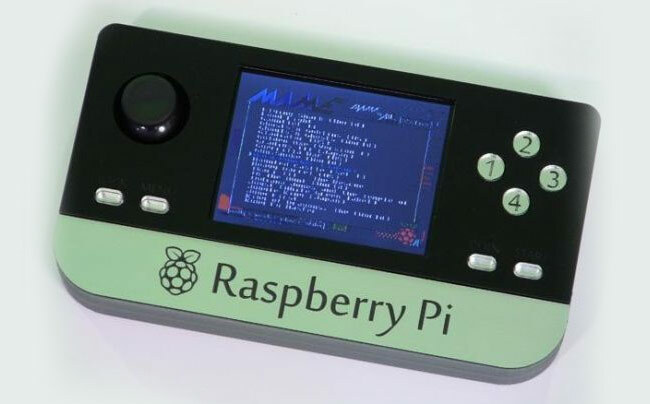 For more information on the new Raspberry Pi game console jump over to the Element 14 website for details. We also feature an interesting project in which the mini computer was used to create a Raspberry Pi laptop.